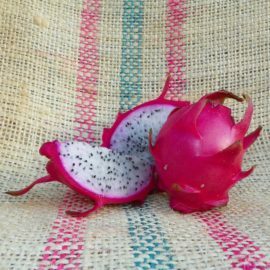 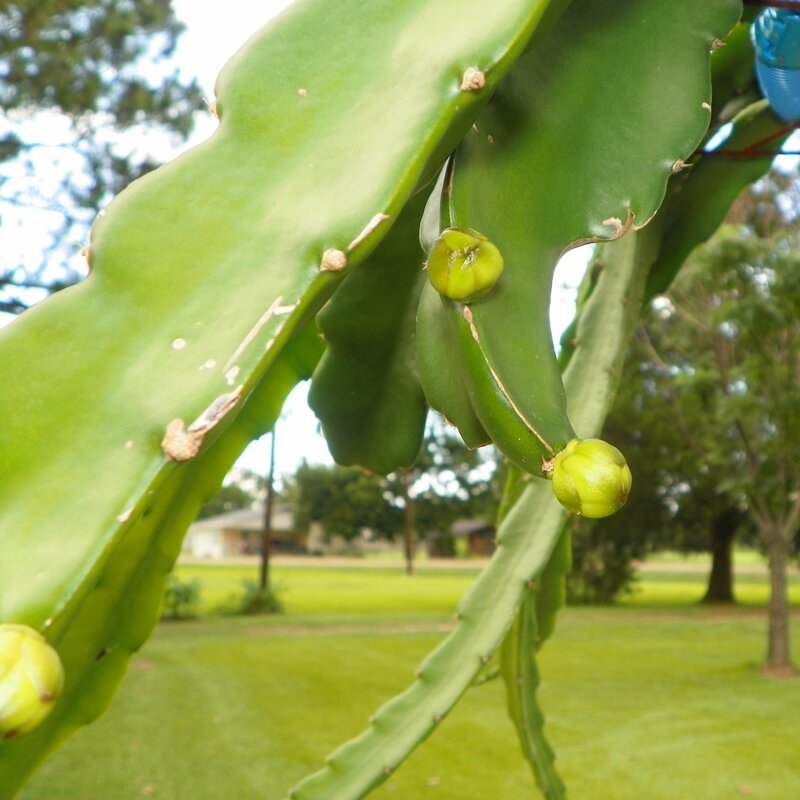 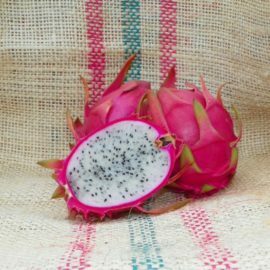 Harpua Dragon Fruit variety comes from the genus Hylocereus and the species undatus. 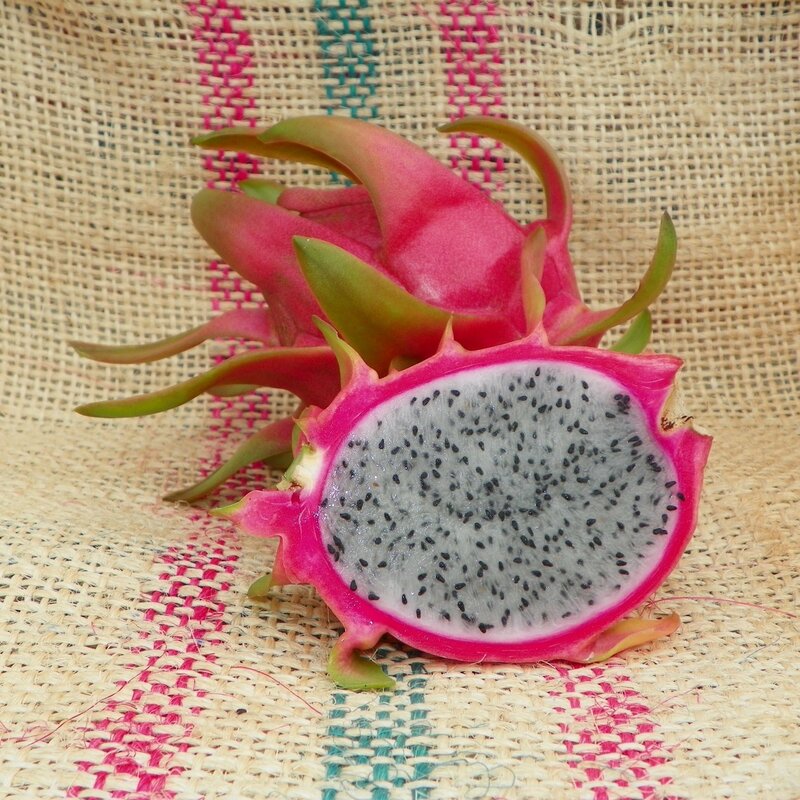 The fruit has a bright pink exterior with green fins that typically weigh 1.5 pounds. 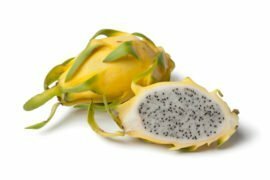 The flesh has a nice white pulp that is semi-sweet with a mild melon flavor. 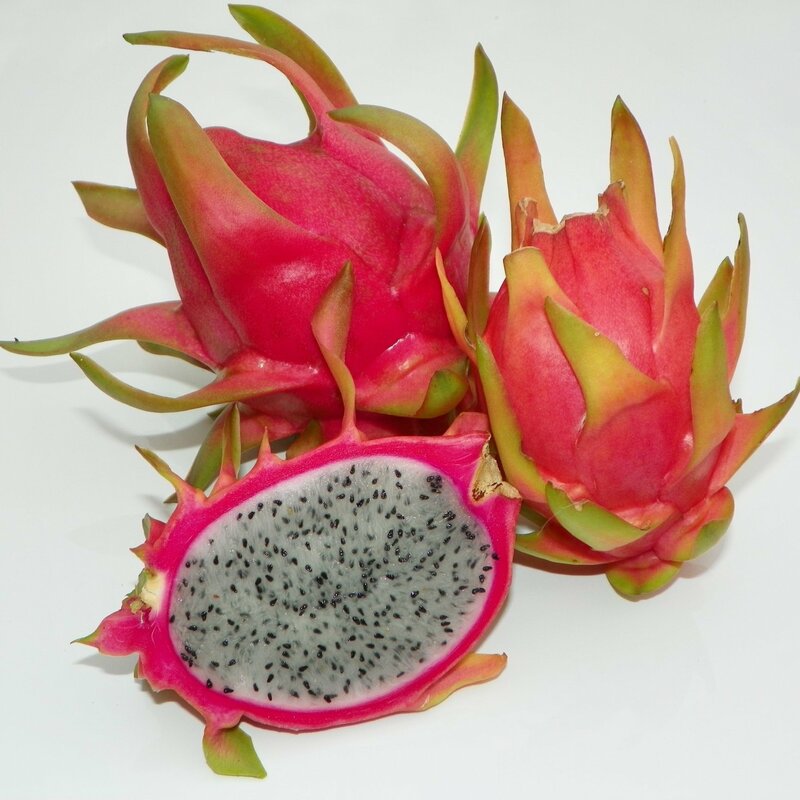 Enjoy the fruit, even more, when served chilled, it’s quite refreshing. 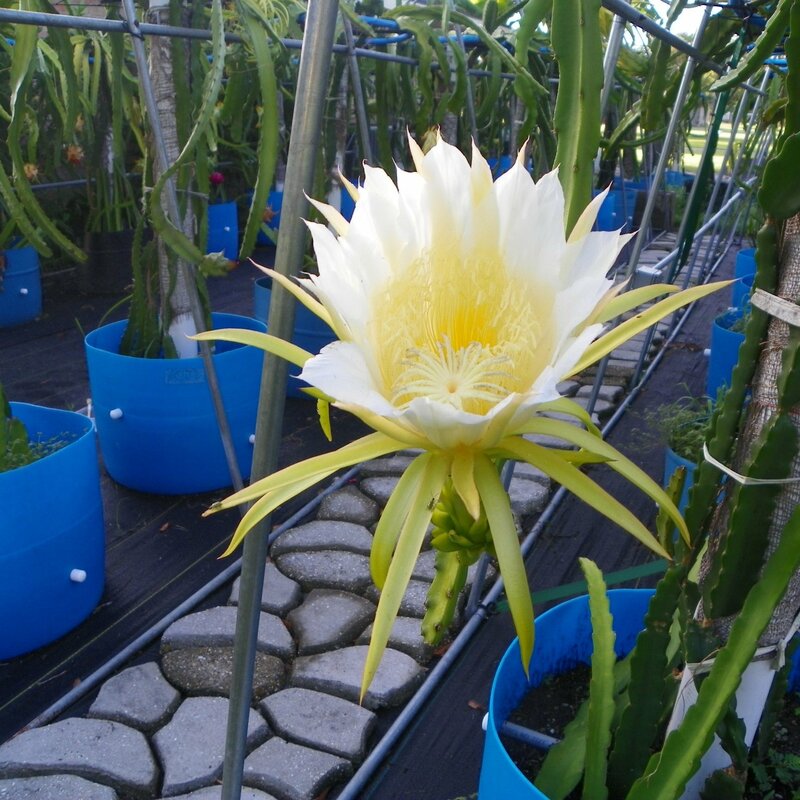 This variety is very easy to set fruit due to it being self-pollinating. 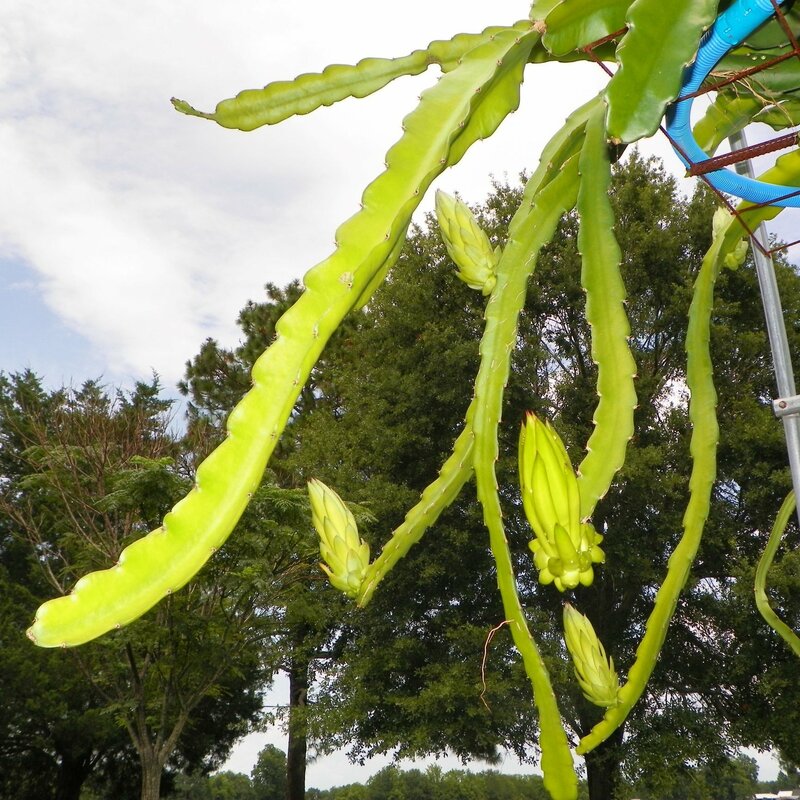 Stems are very thick three-sided with small thorns. 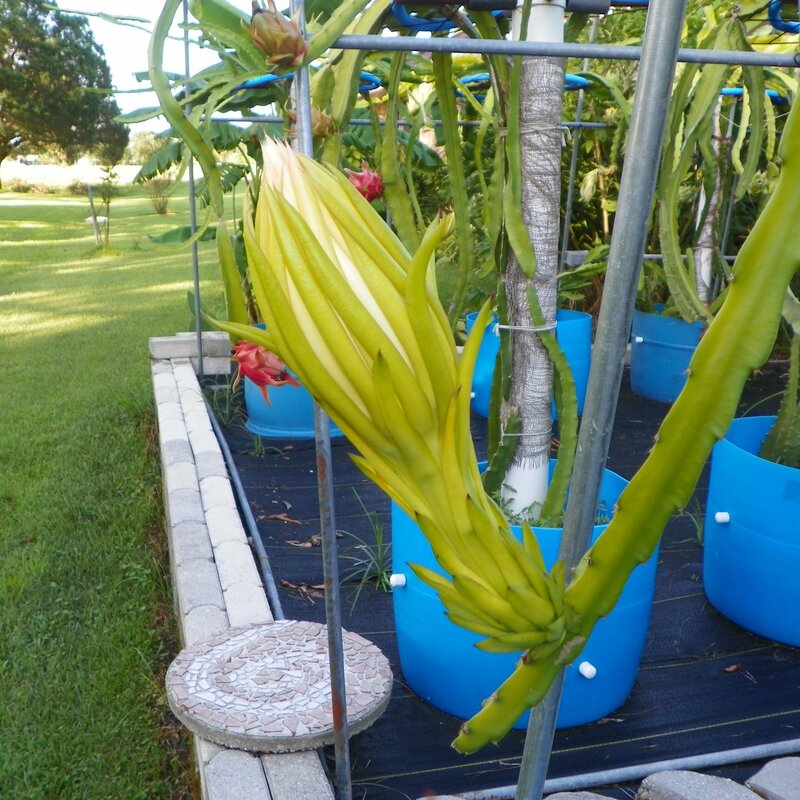 Each mature stem typically get 2 to 3 fruit per year, making it a very nice producer. 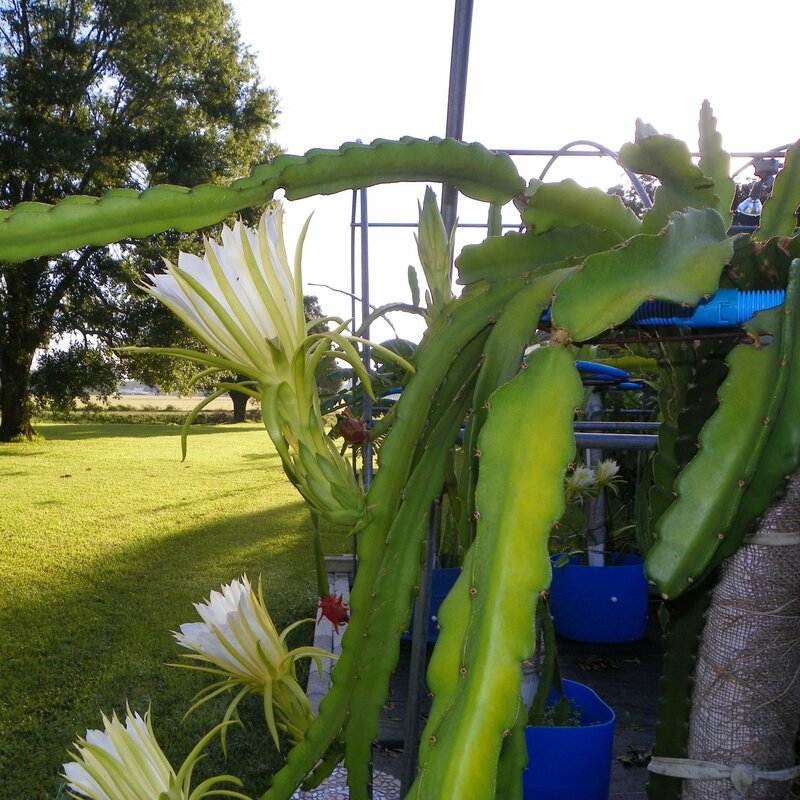 Flowers are typical Hylocereus undatus night blooming, measuring over 15 inches across. 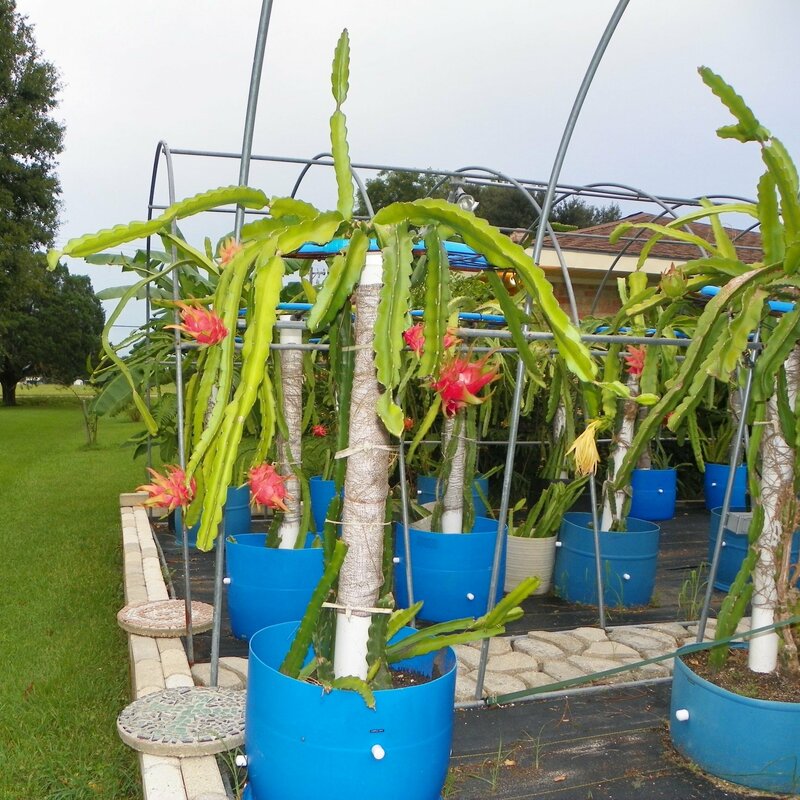 This variety was acquired from a tropical nursery in California.